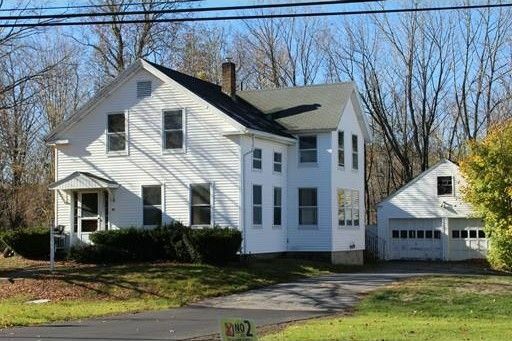 8 Room Colonial in a great location overlooking Barre's South Common. The home features hardwood floors throughout the living areas, large room sizes including oversized eat-in kitchen, pocket doors, enclosed side porch, two car garage, vinyl siding, some replacement windows and town water/sewer. Home will need updating, including wiring and plumbing, which is reflected in the price. Boiler and oil tank replaced this year. Great potential for an in-home occupation/office but will most likely require cash for purchase. Being sold as is.